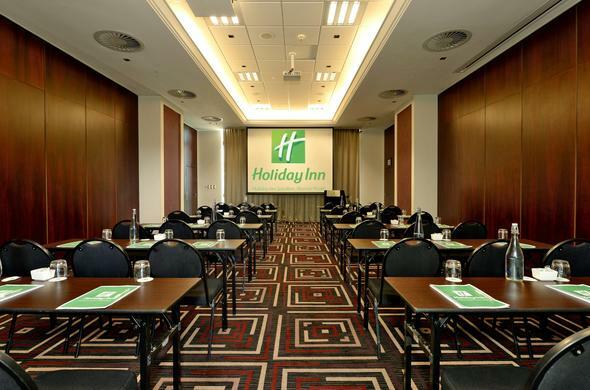 Holiday Inn Sandton 4 star conference venue, offer superior quality, service and value in a sought after location opposite Nelson Mandela Square and great shopping at The Village Walk. This Sandton conference centre has six venues comprising of three conference rooms and three boardrooms. A maximum of seventy people can be accommodated, cinema-style for any one event. Conference delegates can use the Holiday Inn Sandton business centre, with access to full workstations, a printer, fax machine and capable staff to assist at all times. This Sandton conference venue is equipped with wireless Internet access throughout for ease of use by all delegates. All conference and board rooms are equipped with full audio-visual functionality. The cost of a data projector is included in the day package rate. Packages can be tailor made to your specifications.